Published: Nov. 7, 2015 at 06:11 p.m. Updated: Nov. 7, 2015 at 06:35 p.m.
Penn State's Christian Hackenberg has thrown 13 touchdown passes through 10 games this season. EVANSTON, Ill. -- It was exciting to get a chance to see Penn State QB Christian Hackenberg up close Saturday in the Nittany Lions' game at Northwestern. However, I came away very unimpressed with the junior signal-caller in PSU's 23-21 loss. Overall, he looked like more of a project than a prospect. It's impressive to see how the ball jumps out of his hand in warm-ups. He's a big, physical player with a live arm. That's what makes him so intriguing. But then the game started. He was really bad in the first half. He got things going and made some throws in the second half, but his accuracy, touch and awareness are all question marks. His ball placement and decision making are not very good. He completed 21 of 40 passes for 205 yards, no touchdowns and an interception Saturday. There are a lot of people in the NFL that have evaluated quarterbacks for a long time, and they will tell you that touch and accuracy are two of the toughest areas to improve in. Those things are two of his biggest problems. Check out the top images from the 10th weekend of college football play. There's no denying that Hackenberg looks the part. He might resemble Carson Palmer in stature, but in terms of how he plays, he reminds me of a better version of former Virginia Tech QB Logan Thomas. In fact, the first comparisons that popped into my mind when I watched him play were to Thomas and Derek Anderson, respectively, when they were in college. The common criticism that you hear is that he doesn't fit Penn State coach James Franklin's offensive system. Well, for half of Saturday's game, he was playing under center. I saw Penn State utilize multiple tight-end sets, a fullback and playaction -- that's all stuff Penn State did when Bill O'Brien was the head coach of the team during Hackenberg's freshman season. It's not as if the Nittany Lions are running a spread offense with zone-reads every other play. Hackenberg also took a couple of sacks where he held the ball for too long. He had a lot of forced throws and poor decisions from a very clean pocket, one that was much cleaner than he's ever going to see on Sundays. I watched his game against Temple earlier this year, and his offensive line didn't give him much of a chance that day. That wasn't the case vs. Northwestern. The O-line gave him a chance, and Hackenberg was very average. Penn State had one touchdown pass in game, and it was thrown by a wide receiver. That's discouraging given that Hackenberg has been billed as a potential franchise quarterback. It seemed like every time Penn State was inside the opposition's 10-yard line, it went to the "Wildcat" package and split Hackenberg out wide. That's not a good sign for him. 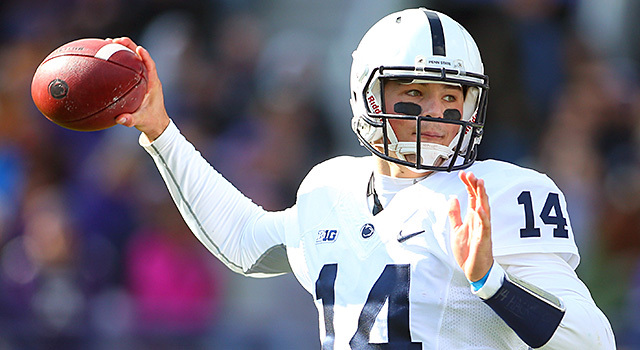 Hackenberg has the tools and will make some "wow" throws. On the whole, there's more to be concerned about than excited about with him. Here are notes on a few other players that caught my eye on Saturday. » Penn State defensive tackle Austin Johnson, a redshirt junior, was phenomenal against the Wildcats. He's an outstanding run defender who can stack blocks. He can make plays laterally, too, and is very productive. There were a dozen or so NFL personnel men at the game, and there was a lot of chatter about Johnson in the press box. » Nittany Lions defensive end Carl Nassib broke the school single-season sack record on Saturday. He now has 15.5 sacks this season. That's an impressive achievement considering the pass-rushing talent that has come out of Penn State (Tamba Hali, LaVar Arrington and Courtney Brown come to mind), and that he broke the record this early in the season. Nassib is built like Jared Allen was when he was first entering the league. 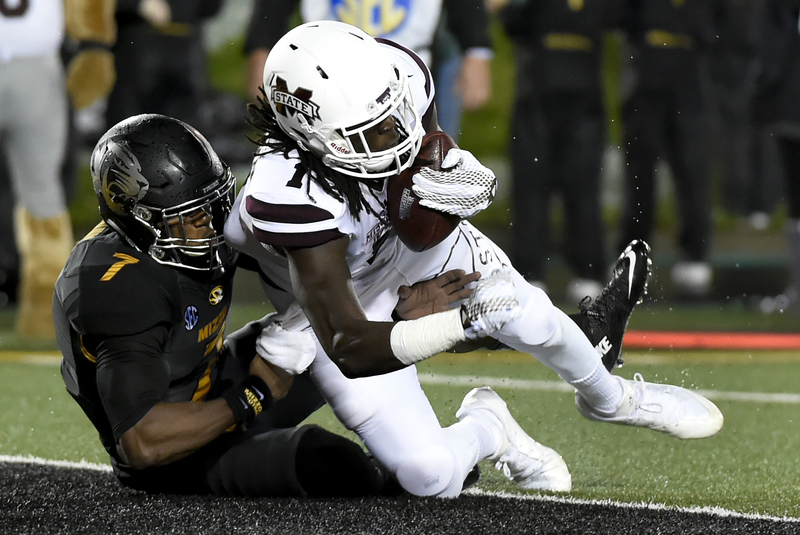 He's 6-foot-7, 272 pounds, and scouts timed him at 4.71 in the 40 in the spring. Those are pretty good measurables. He's a first-year starter, and his Brother is Giants QB Ryan Nassib. Carl flashed some speed to power on Saturday and is a very interesting prospect. 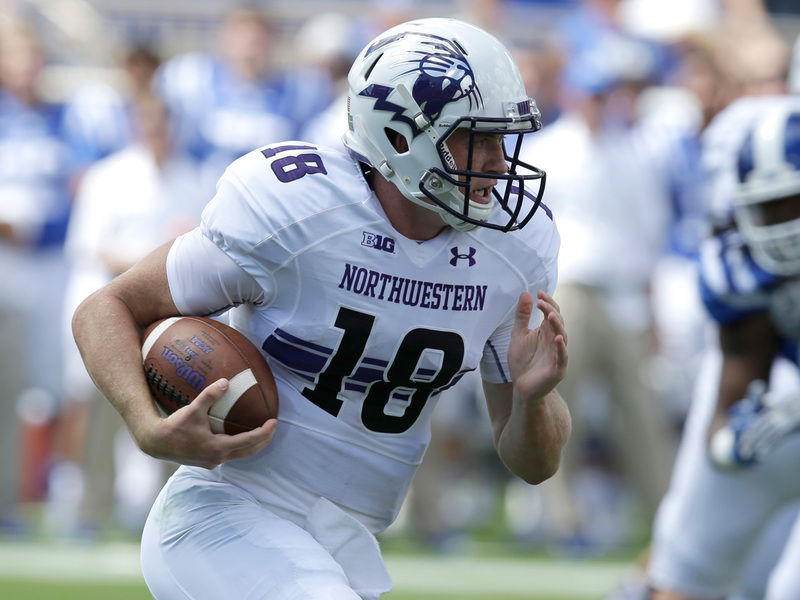 » Three Northwestern seniors had a good day -- DLs Dean Lowry and Deonte Gibson and CB Nick VanHoose. We should see all three of those guys in all-star games. I'm looking forward to watching them on tape. » The case could be made that Penn State freshman RB Saquon Barkley was the best player on the field Saturday. He's going to be really, really good.